Jack Keefe doesn't smoke much weed, but he sure would like to sell it. The middle-age proprietor of the Jacksonville General Store displays plenty of local products inside his 1,600-square-foot shop. So why not Green Mountain State-grown cannabis? After all, Vermont legislators are likely to consider legalizing pot sales during the upcoming session. "My 18-year-old self is thrilled at the prospect of being a legal dealer," Keefe quipped. "I think of the prospect as a way to get more customers into the store." That's an important consideration for owners like him. 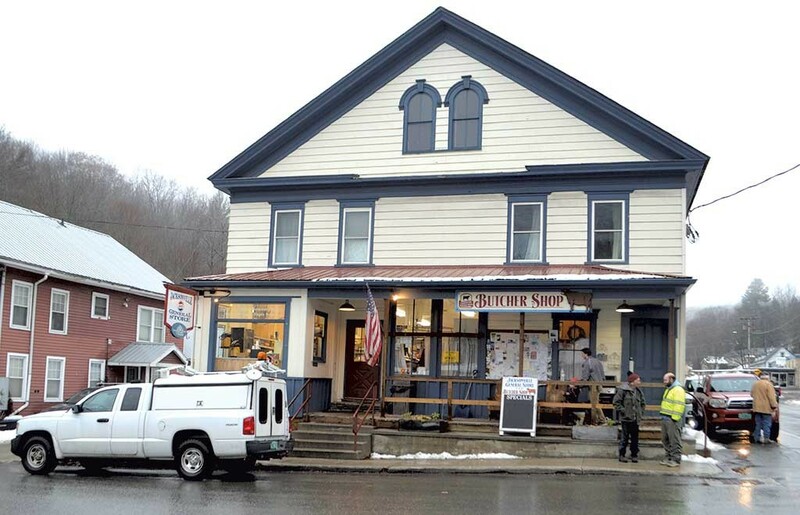 Once a staple in nearly all of Vermont's 200-plus towns, about 70 to 75 general stores remain in the state. Approximately 30 have gone under in just the last decade. The ones that survive and thrive find a niche "that will generate some cash flow and some profit," observed Paul Bruhn, executive director of the Preservation Trust of Vermont. The Castleton Village Store, he said, has "one of the best wine selections in the state." In North Hero, the Harborside Harvest Market offers a popular takeout prime rib dinner each Friday night. 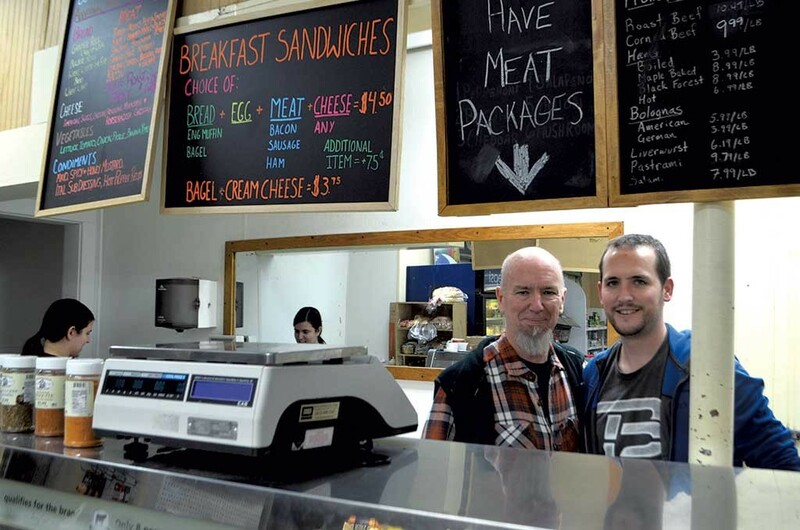 In Norwich, Dan & Whit's operates on a simple motto: "If we don't have it, you don't need it." What people do need are the stores themselves, Bruhn said. "They add to community vibrancy, civic life, civic discourse and they're the places where everybody in the community connects with each other," he said. "At the same time, they're very hard businesses. They're a little bit like running a dairy farm. It's 24-7. They're challenging to make work in the world of retail today. But that doesn't make them any less important." It helps to have some key "magnet items," according to Jack Garvin, who has been a leader in the Vermont Alliance of Independent Country Stores and manager of the Warren Store since 1980. Vermont craft brews have attracted customers to his market. Sean Lawson, internationally acclaimed for his line of Lawson's Finest Liquids, lives and brews locally, and the Warren Store often stocked his sought-after Sip of Sunshine. But just last month, Lawson's opened an instantly popular taproom and retail shop in nearby Waitsfield. In turn, canned Sip sales at the Warren Store have plummeted, and Garvin's looking to make up the lost revenue elsewhere. "You can't be complacent. You need to try to be innovative," Garvin said. "Customer service is absolutely No. 1: offering a variety of products, trying new things ... You fail fast and fail cheap, or you find something that connects." In Jacksonville, a village within the town of Whitingham, Keefe thinks marijuana could be his magnet item. He's owned his shop since 2013. Stocked with wine, produce, meat and dry goods, it's more of a small grocery than an old-fashioned general store filled with knickknacks and random doodads. Keefe makes a living, he said, but not much of one. He believes cannabis would ensure the survival of a store that is central to the town's existence. "Country stores have done this forever — sold local produce," Keefe said. "I can sit on my porch and hit a golf ball and hit five people who are growing weed." Like many Vermont towns, Whitingham is out of the way — unless you're en route to Mount Snow or the Harriman Reservoir. Its declining population, especially in the younger demographic, has resulted in school consolidation. More houses now serve as second homes and are often dark. For Keefe, creativity is as important as stocking his shelves. "Amazon is not just crippling malls; it's having its way with small country stores, as well," he said. Selling cannabis "would help stem the tide, help reverse the bleed." Thirty miles northeast of Whitingham, the Putney General Store calls itself the oldest in Vermont. Since 1796, the store has existed in some form on the corner of Main Street and Kimball Hill, smack-dab in the center of town. On a recent Monday, workers in neon vests marched across Main Street from the Soundview Paper plant and streamed inside. Cars with out-of-state plates were parked out front, and locals took a load off on diner stools at the window. During the last decade, misfortunes have beset the historic store. An apparent accidental fire forced it to close in 2008. The Putney Historical Society bought it to rebuild. But an arsonist struck in 2009, and this time it burned to the ground. The historical society vowed again to build, and it did, reopening the store in 2011. Jim Heal took over in 2013. He operated the store and a pharmacy on the second floor until 2016, when he was diagnosed with cancer. He died that December. The store was shuttered for a few months until historical society board members Lyssa Papazian and Betsy MacIsaac reopened it, working as unpaid comanagers. Closing was not an option for what has long proven to be the center of the town. "Psychologically, it would be a big blow," said Papazian. Locals have flocked to the store for years. The Viagra Club, a group of mostly octogenarian men, meets there weekly for coffee. While the place was being rebuilt, the old-timers set up lawn chairs out front and sipped java from thermoses. People desire these meet-ups, but many Vermont villages have lost their downtown economic cores — and Putney, Papazian said, struggles. "We're just holding on by the skin of our teeth," she said. "We're too small to be big and too big to be small. It's like a downtown that is improbable and shouldn't exist, and we're trying to keep it here as long as we possibly can because it means something." Now they're at a figurative crossroads. The historical society agreed to operate the store for a year, but it's been nearly two. The group would like to find a tenant who can run the store. Papazian admits the business is operating at a slight loss but says an entrepreneur could sharpen a pencil and cut the fat. Papazian and MacIsaac have their own ideas. Finding a second-floor tenant is one. And someone could run a small-production food business out of the underused kitchen, Papazian said. The comanagers have advertised for an operator and recently put up a display about the store at the Vermont Welcome Center along Interstate 91 in Guilford. 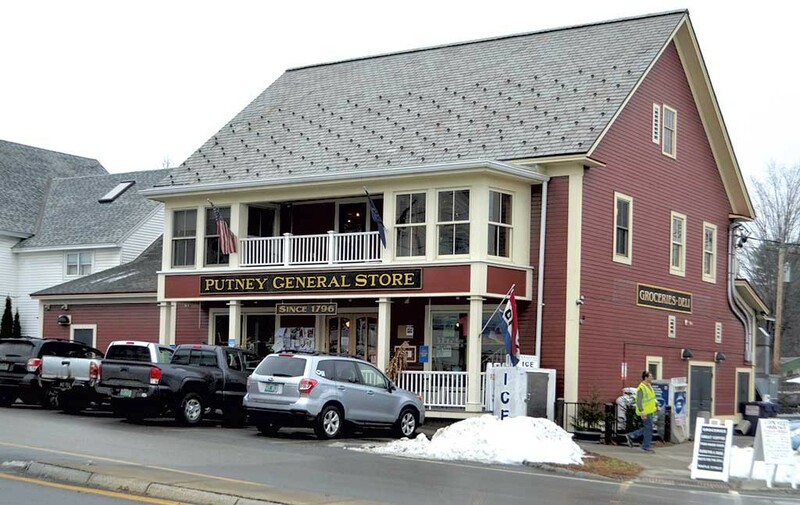 As the town's retailers have shuttered, the remaining ones have revived the Putney Business Alliance, intended to bolster the fortunes of the entire area. It hasn't saved everyone. In October, Basketville, a venerable Putney landmark for more than 60 years, announced it would close by year's end. 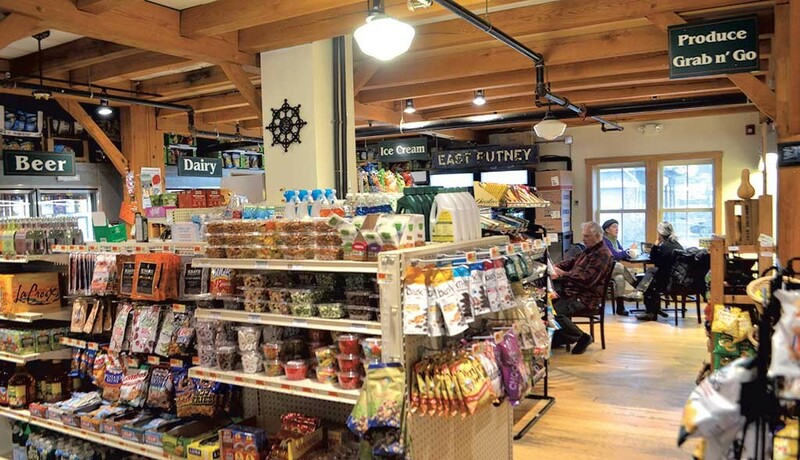 The general store itself faces competition from just down Main Street — the Putney Food Co-op, which offers some similar goods and prepared foods. How can Papazian and MacIsaac compete? "We kind of always feel overwhelmed," Papazian admitted. "It's hard to keep things running and make sure it's doing the best it can, and then try to imagine what else you can add to the mix." She noted: "It's a very low-margin business, and you have to be sharp." 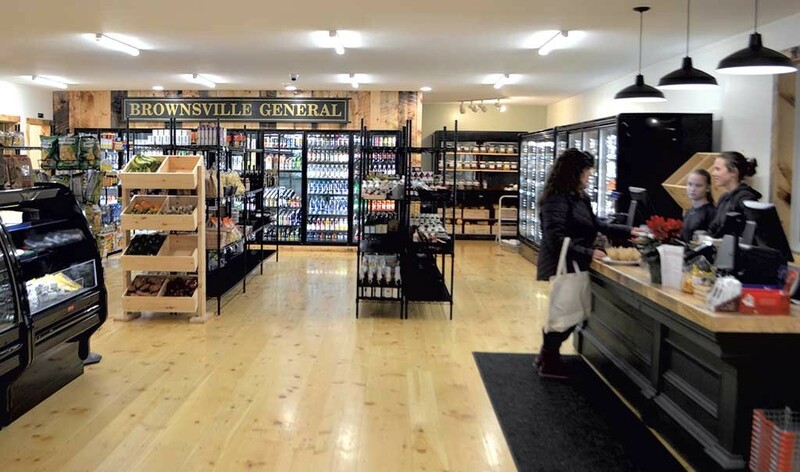 While the Putney General Store is going through a midlife crisis, the Brownsville Butcher & Pantry is just learning to crawl. The shop opened on November 20 and resembles a gourmet market: pine flooring throughout, white subway tiles behind the fresh seafood counter, local produce displayed in gleaming refrigerated cases, and a café with local beers on tap that will soon serve three meals a day. Peter Varkonyi and Lauren Stevens aren't taking over a general store — they're reinventing the entire concept. 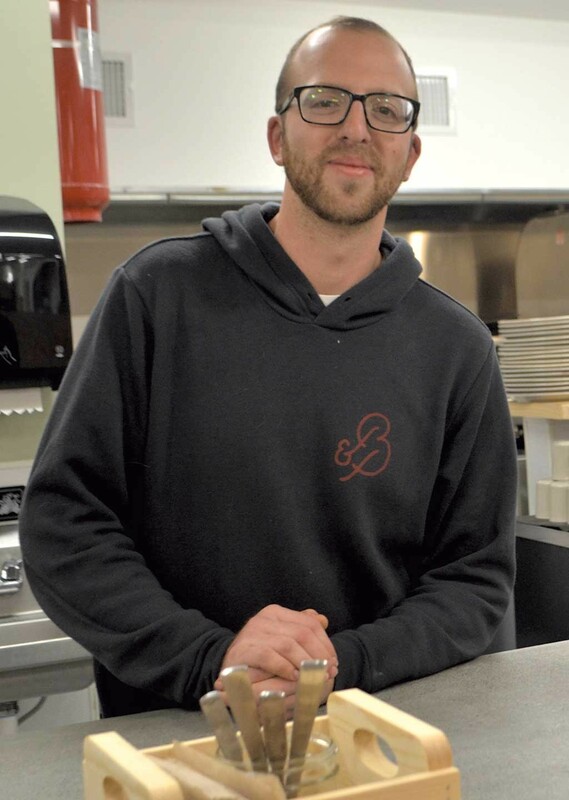 They're offering some items found at chain grocery stores, along with "the experience and connection to the food you might experience at a farmers market or co-op," said Varkonyi. For nearly 50 years, the Brownsville General Store sold cigarettes, lottery tickets, gas and other goods at the same Route 44 site. More recently, it had lost some of its luster, according to resident Chris Nesbitt. The closure of the Ascutney Mountain Resort ski area in 2010 hit the area like an avalanche, and by 2017 the general store also closed, and was in foreclosure. Brownsville, a village within the 1,100-person town of West Windsor, became a food desert. Many residents headed to Claremont, N.H., to shop. "There was a hole in town," said Nesbitt. "Sometimes you take things for granted and you don't recognize what you had ... The longer it was closed, the more you realized how important it was. There was a lot of energy in town to take control of our own destiny." With support from Bruhn at the Preservation Trust, Nesbitt and other locals created the Friends of the Brownsville Store, an LLC that solicited investors large and small. The group bought the building, paid for much of its renovation and interviewed 20 applicants interested in running the store. They settled on Varkonyi, a New England Culinary Institute-trained chef, and his fiancée, Stevens, a farmer with deep connections to local growers. The couple picks what to stock and sell, with some input from the LLC. The plan calls for the operators to eventually buy the building. It's a community hub where people can "get some necessities," Nesbitt said. Residents pushed for a coffee counter so there would be a gathering place for everyone. That said, it's hard to imagine a construction worker scooping up some Urfa Biber Turkish Chili Flakes, available in the bulk spice section. "It's a smoky chile flake," Stevens said with a laugh. "Peter has a tendency to shock me. I'm not the cook." In keeping with the store's emphasis on local products, chef Varkonyi butchers premium grass-fed beef on-site. During a visit last week, a patron nursed a beer at the bar and used the free Wi-Fi, courtesy of ECFiber, the regional, community-owned high-speed internet provider. Stevens greeted customers and stocked shelves, while Varkonyi told others about his food plans. Susan Odden, a Brownsville resident and nutritionist, glowed as she wandered the store, picking up a bottle of kombucha and other local goods. She said she valued the store because of its high-quality meat, and "there's real food here," she said. "It's updated; it's paying attention to what people want and what's good for people to eat." Odden could hardly contain her excitement as she headed for the register. "I won't even look at the bill," she said, motioning as if handing over a credit card. "I'm serious! It's investing. It's investing in the community." The Cannabis Catch-Up: Moldy Weed at CVD?